That evening in Paris, I was trying to read a rather complicated book and the noise of a helicopter overhead kept disturbing me. Then my partner came in and told me Notre Dame de Paris was burning. We looked out the window, and though we have no view of the cathedral we saw a great plume of smoke rising into the sky, turning the evening sun red. 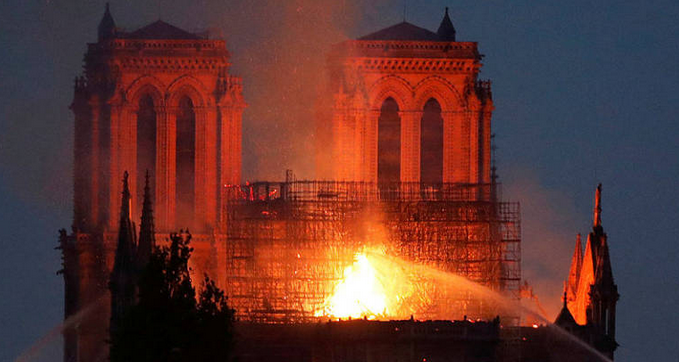 The live footage on the internet revealed the flames pouring out of the roof, and later the fiery collapse of the spire into the body of the church. A friend in London emailed me that she was watching …’it’s horrible’. The next morning we decided to go over to the island of St-Louis. On the way out of the apartment building, we said good morning to the gardienne. She said: ‘It’s dreadful. It tears my heart. I go there sometimes to hear the Mass.’ As she was speaking, two neighbours entered from the street. They happen to be non-religious Jews (their own description) and immediately said how sad it was. Around 9.30am, we reached the island, where the bridge that connects it almost to rear of Notre Dame was closed, so people lined up along one of the riverside streets to look at what remained. The fire brigade had saved the stone structure, the two front towers had survived though one of them appeared darkened by smoke. The great bell had not fallen. The intricate buttresses on the sides and the back of the cathedral were also intact. Strangely, the scaffolding over the top the cathedral also remained, although the roof which had been undergoing structural repairs was totally gone. Like us, the other people looking on were quiet and restrained. The same sadness was evident later at the butcher’s and the wine store. In France, all church buildings belong to the state, though the churches have exclusive use them for religious purposes. 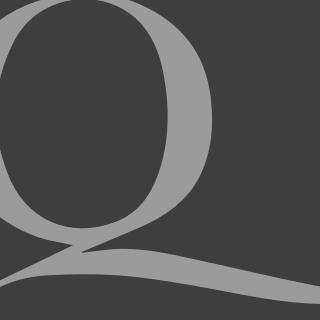 The French state has a strict, and sometimes intolerant, secular stance towards religious organisations, and many French people say they are not religious. Yet Notre Dame is revered, precisely and certainly because it is a religious building, sacred not profane. Paris has ugly buildings whose loss would be a relief, and it has beautiful historic buildings whose loss would be une catastrophe; but it became quite evident that Notre Dame still stands in people’s hearts as a great monument because of the spiritual convictions that drove its construction, preservation and elaboration over the centuries. 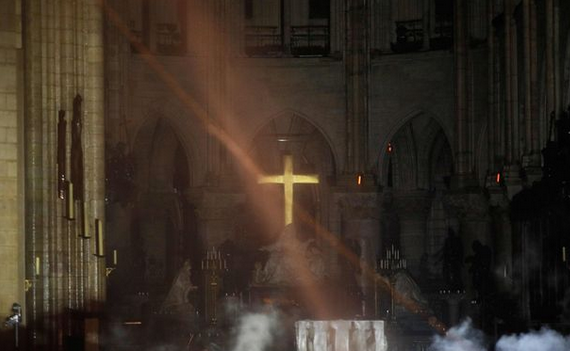 Most poignantly, a photo, taken after the fire through an open door into the blackened interior, shows the great gold cross still suspended, shining through the darkness over the altar. Fortunately, an exact replica has been built and was just completed last year.